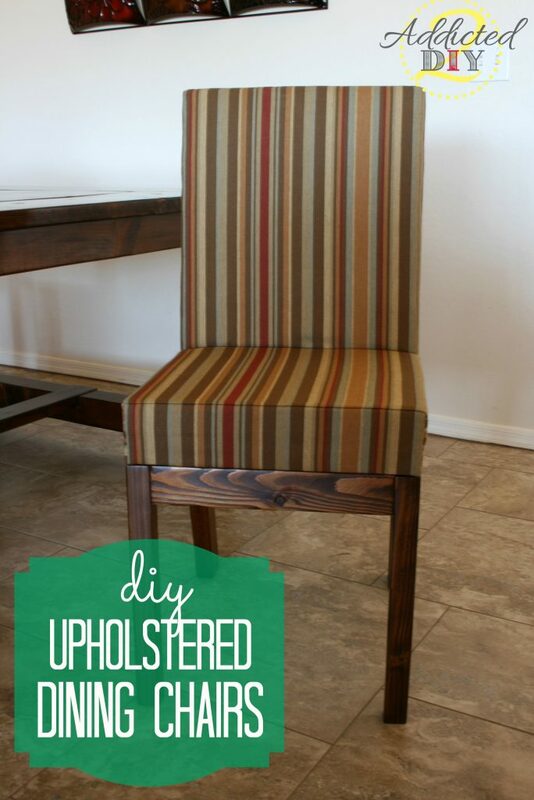 Learn how to build your own custom dining chairs with this DIY Upholstered Dining Chair tutorial, featuring step by step photos and printable plans. 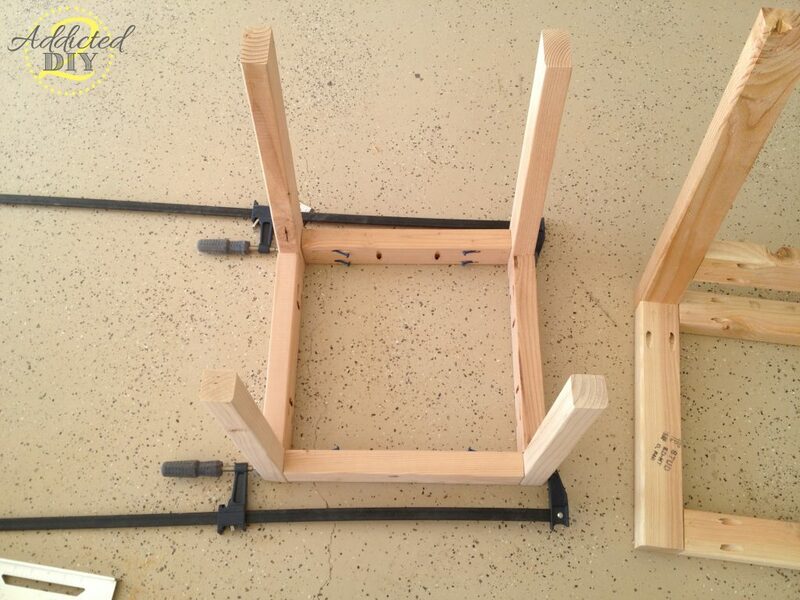 The first step is to assemble the chair seats. 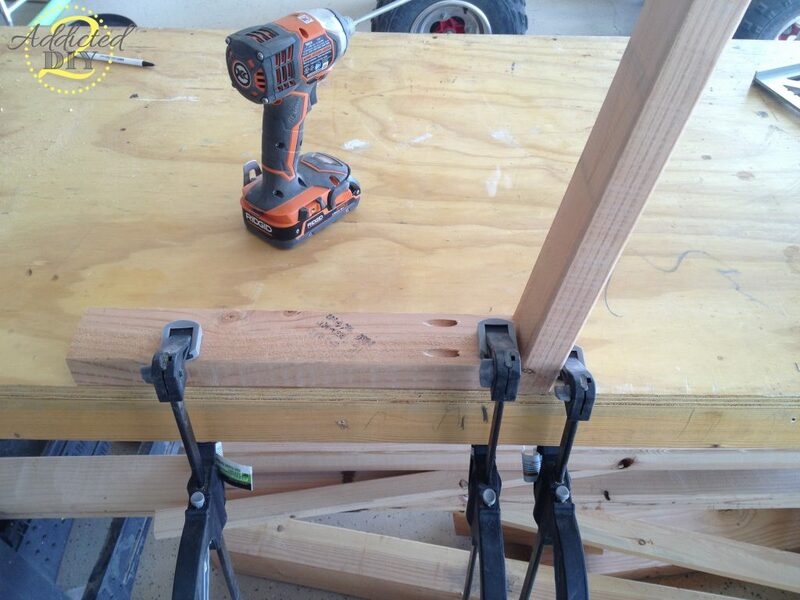 I used my Kreg Jig to drill all of the pocket holes in my chair pieces. Using 2 1/2″ pocket screws, I screwed the sides of the seats together. This was by far the hardest part. Stabilizing the back in order to screw it all together was a bit tricky. Once the sides and backs are attached, you’ll attach the bottom and back seat supports once again with 2 1/2″ pocket screws. 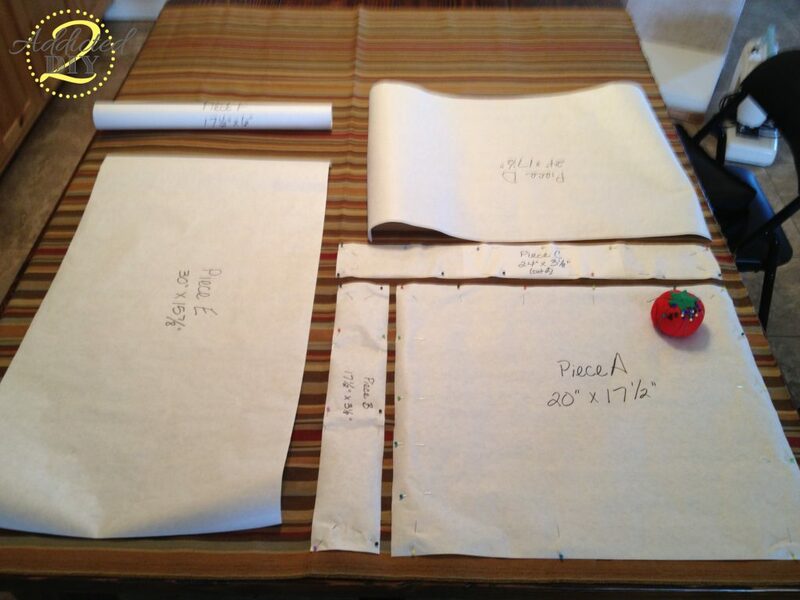 Finish building the legs by attaching the front and back aprons. 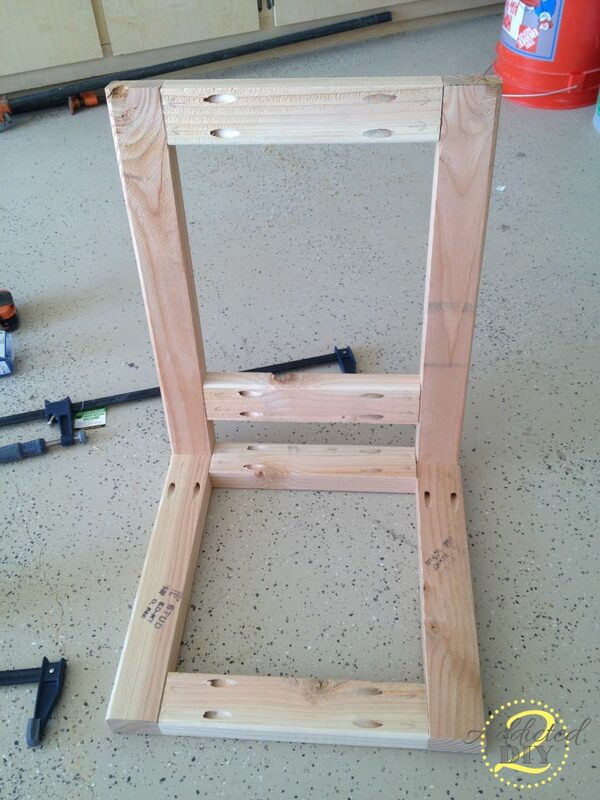 Here’s the skeleton frame of the chair. 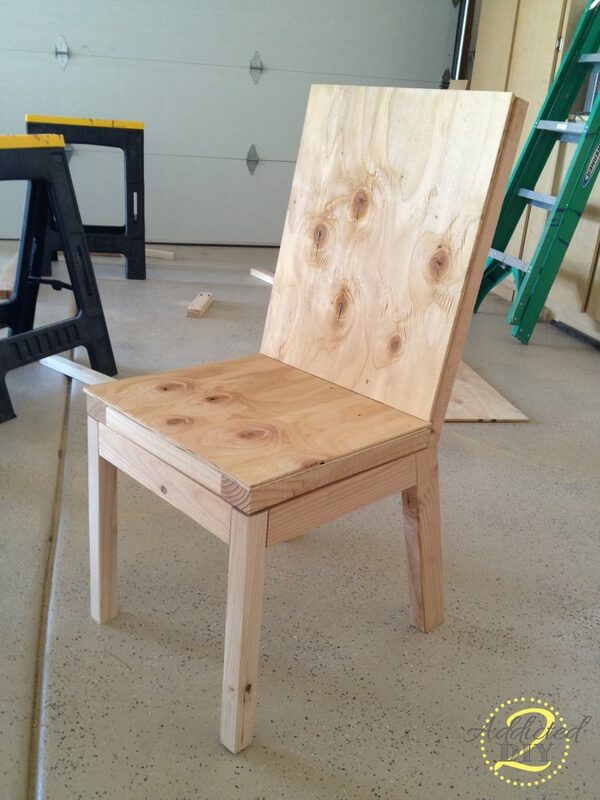 I used 1/2″ plywood for the seat backs and bottoms. 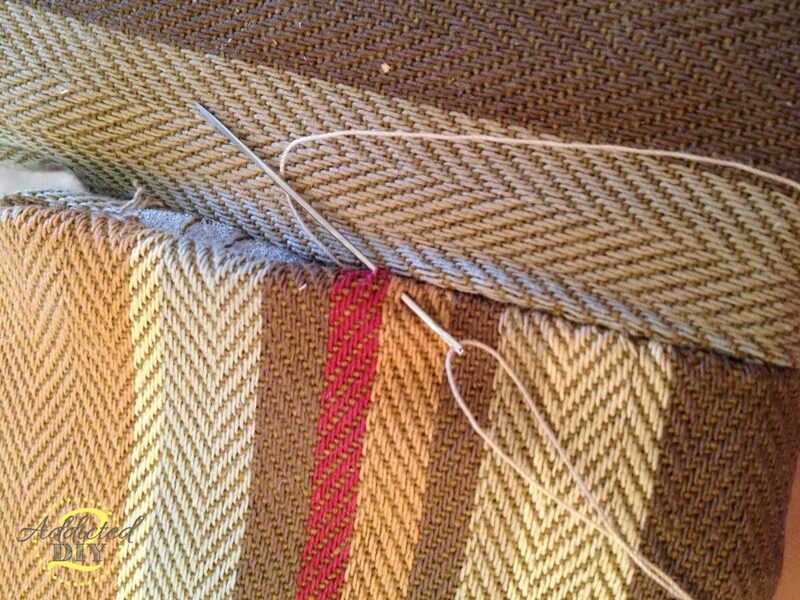 You can also use jute webbing (found at upholstry stores and fabric stores) for the seat bottoms. After sitting in these for a few months, my husband thinks we should have gone with the jute webbing to make the seat feel a little springier (is that even a word?). I may end up swapping out the plywood bottom for the webbing if I can. 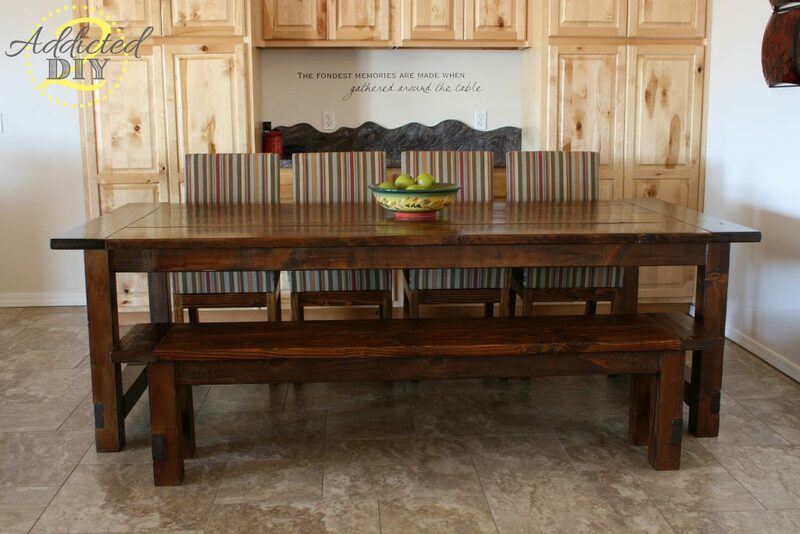 Someday… After I assembled all of the chairs, I finished the bases with Minwax Provencial stain and Minwax Polycrylic. No need to finish the seat since it will be covered with fabric. 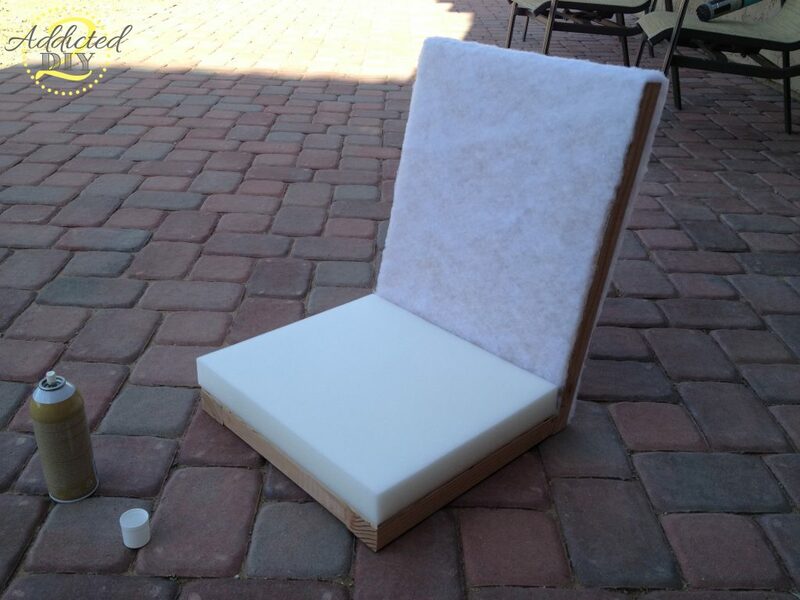 I used spray adhesive to attach the 1/2″ foam batting over the back of the chair. Be careful on the back side of the chair that you don’t push the batting too hard. I trimmed off the excess with scissors to make it flush with the sides of the back. 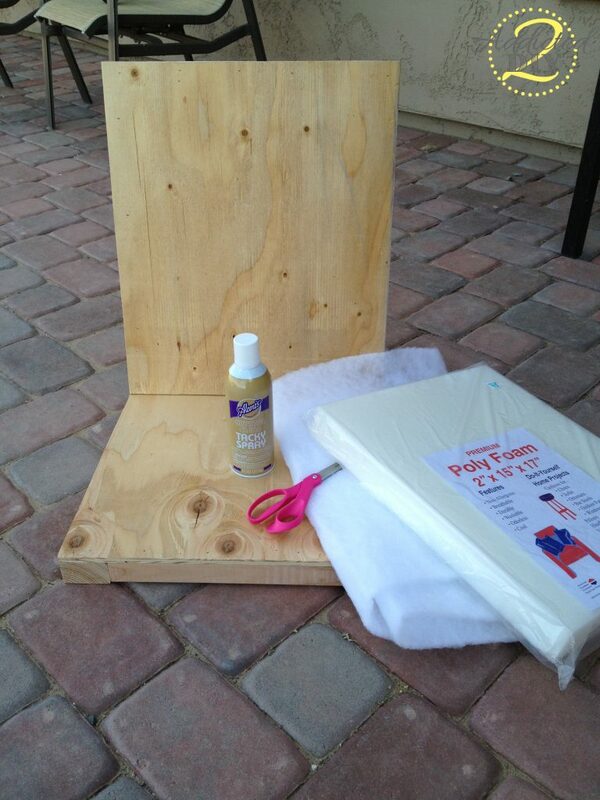 I then sprayed the adhesive on the seat and attached the foam pad. Then came the part I dreaded the most. I am not one of those people who enjoys sewing. I wouldn’t say that I hate it, but I certainly don’t do it because I want to either. The layer of dust on it when I pulled it out would probably make my grandmother cringe. 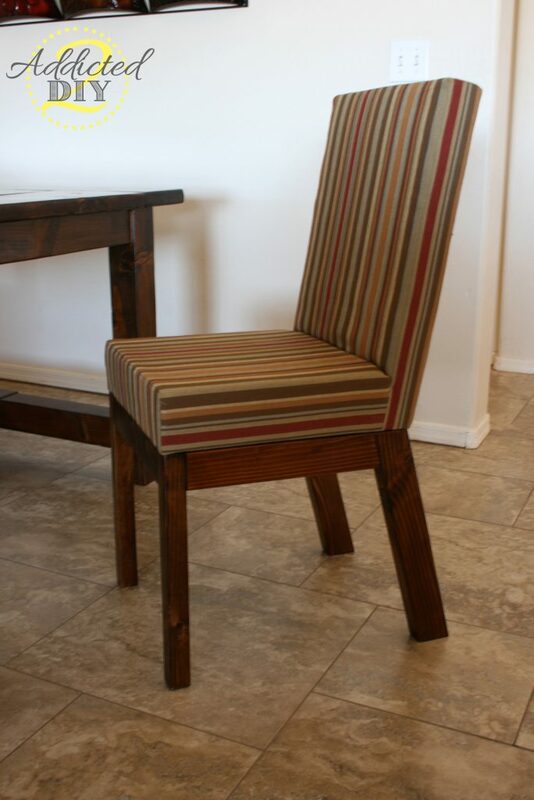 Since I was making four chairs, I made a pattern out of freezer paper so I could reuse it again and again. 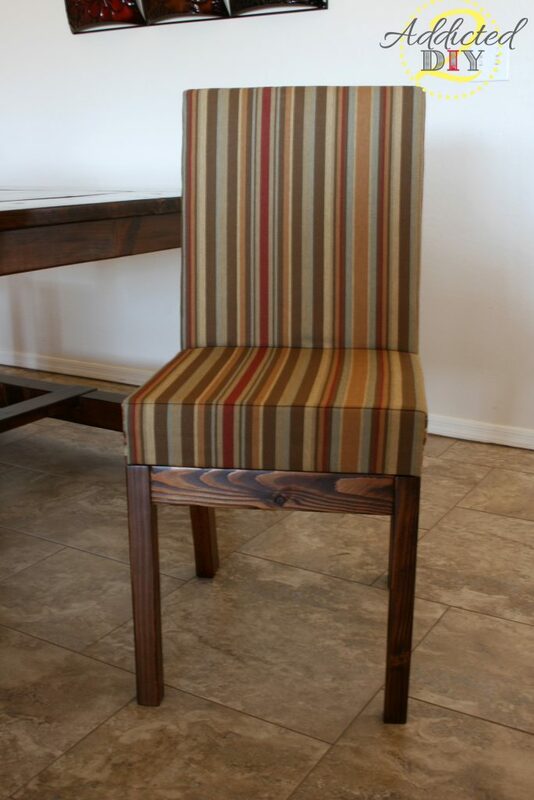 Remember that if you are modifying the chair to fit the 17×15″ seat pad and/or the height of the chair backs, you’ll need to make those same adjustments to the fabric pattern. Because I am not much of a seamstress, I’m also not very good at explaining how to sew this together. I’ll let Ana take over with her tutorial. She describes it so much better than I can. Here’s how my chair looked when I was done. The hardest part about the sewing was trying to make sure my stripes all matched up. I accidentally put one together wrong and sat with the seam ripper for quite some time undoing that mistake. If you would like these to be more of a slip cover, you can easily just sew a hem on the bottom. Whatever suits your fancy:) Just make sure that you still do the whipstitch to finish the side seams. I used a whole lot of staples to secure the fabric to the bottom of the seat and then trimmed off the excess fabric. 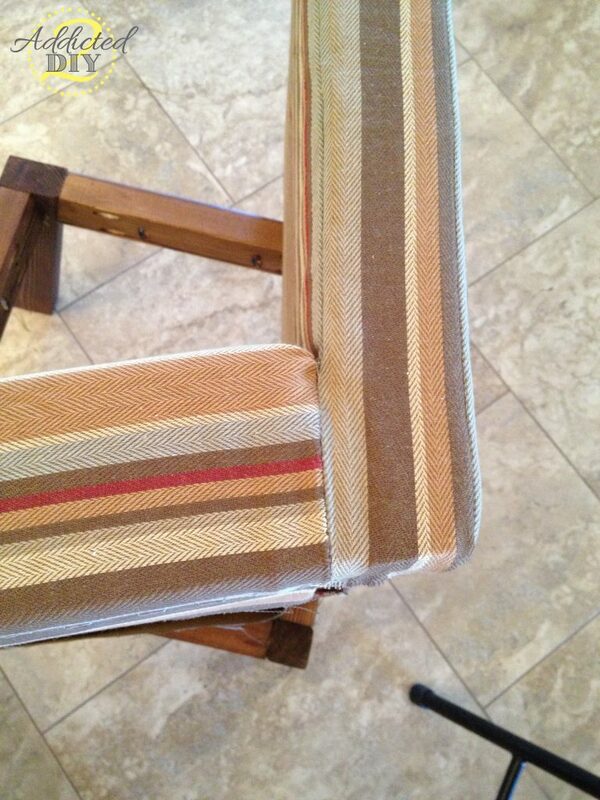 Use a whipstitch method to sew an invisible seam on the sides to finish off the seam attaching the seat bottom to the back. 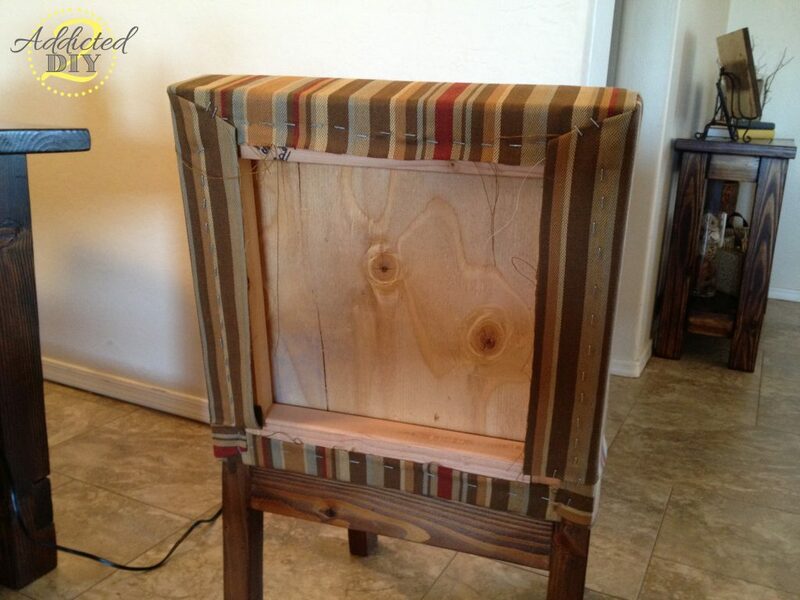 After all of the sewing is completed, use 2 1/2″ pocket screws to attach the base of the chair to the seat. Before we let one of the kids even touch one of them, we sprayed them with scotch guard to protect them from drips and stains. I was so happy with how these turned out. I liked the fact that we could stain them exactly the same color as our table and we save a ton of money. Well for somebody who’s not fond of sewing you sure did a professional job! Your chairs look beautiful! Wow, very nice! 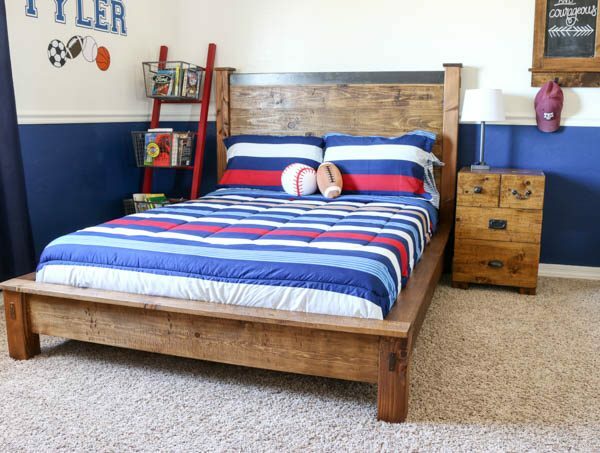 I love the stain color you chose, and the whole set looks fabulous! 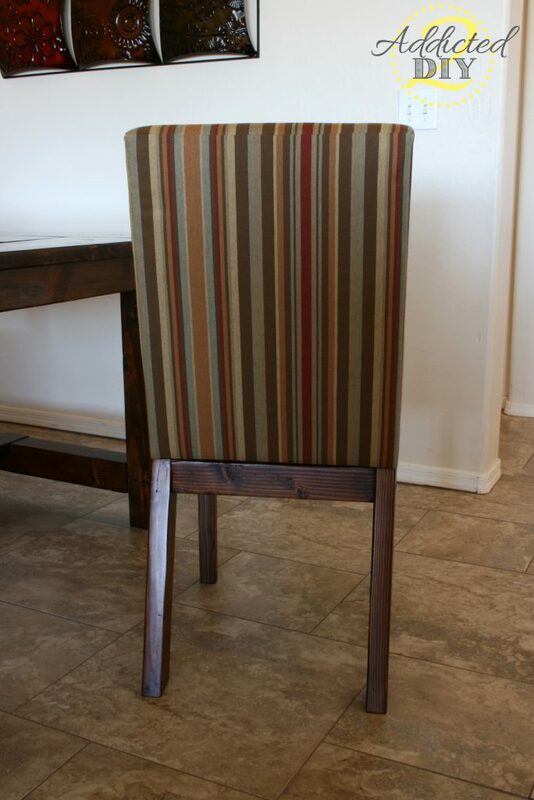 I just ran across your chairs on Pinterest and I LOVE them! I do have a question though, you said you made your back 5 degrees instead of the 15 degrees Ana suggest. Do you make the same adjustment for the back legs as well? 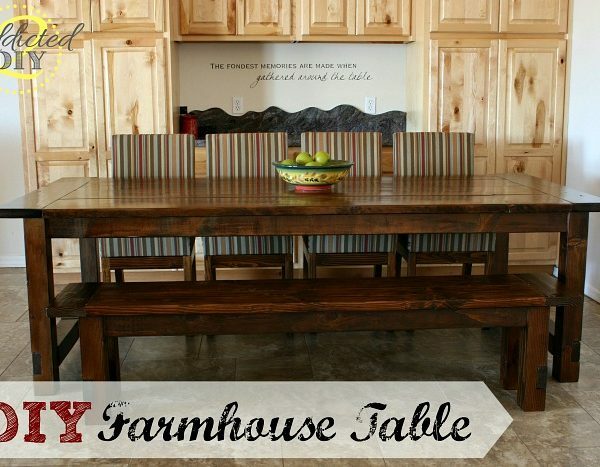 I built a Farmhouse table last weekend and have been scouring the internet for Parson Chairs to sit at the head of the table. I saw Ana’s one, but seemed a little short, saw yours in the brag post too, I so want to build your version, but my math is fuzzy to say the least. Thanks. Oh! that chair, can’t believe that you did it with yourselves. Nice idea it is simple yet elegant. 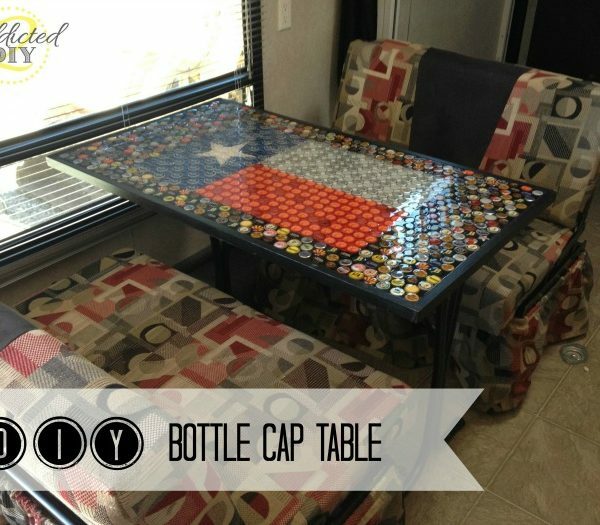 Thank you for sharing this DIY idea, will try this soon. BEAUTIFUL!!! I wish I could build things like this, but I wouldn’t even know where to start. The table, the chairs, the bench… it all looks amazing. You are awesome! I noticed you stapled the back as opposed to sewing the whole thing as a slipcover and just sewing the sides. Did that seem easier? I’m about to tackle a replication of your chairs once we finish up our table, but as an individual completely useless with a needle and thread, I’m a bit overwhelmed haha! The whole whipstich bit has me confused. I also don’t own a sewing machine (surprise), but I AM incredibly handy with a staple gun. I love that your chairs look a bit more formal than the originals. You definitely need a sewing machine to make these, but it isn’t too hard to do. I personally DO NOT enjoy sewing and the seam ripper is in my hand at least once for every single sewing project, no matter the size;) The whipstitch was a challenge, but after the first chair, I figured out a system and it went much better for the others. I did staple the back cover and the seat cover to the bottom, but that is personal preference. You could also finish the bottom with a hem and make it a slip cover. I may do that when I reupholster them sometime. Hi, i was wondering why you added the extra rails to your seat and not put the ply directly on the bottom seat rails? 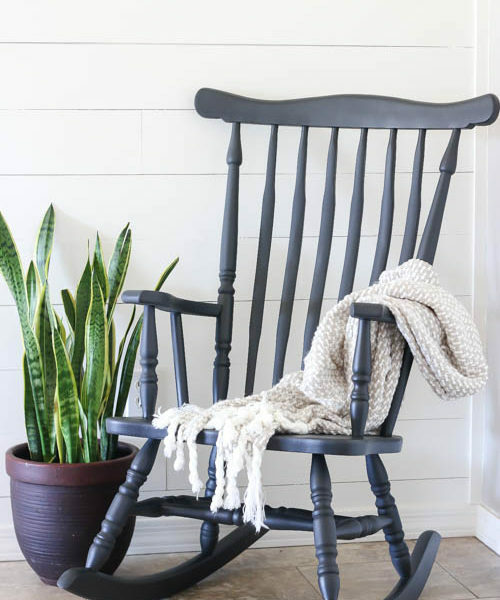 Do you remember how much fabric you used for your chairs? Also, would you use jute webbing for the back as well as the bottom or just the bottom? I wish I could remember. I feel like one yard per chair is a close measurement. For the jute webbing, you could try it on the back. It would give them a little more give and comfort. 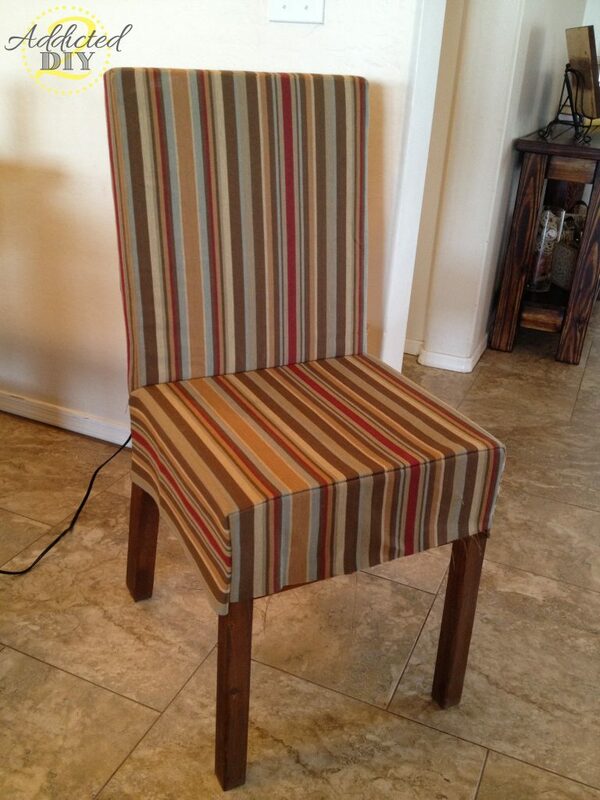 I did the jute webbing for the back as well as seat of the chairs for mine and they’re very comfortable! Thank you Gon! 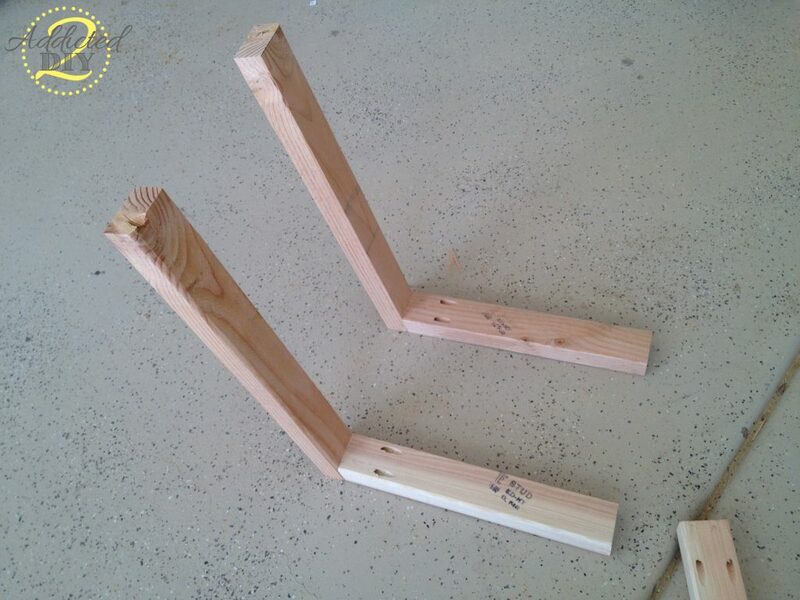 The seats are attached to the base using pocket joinery. 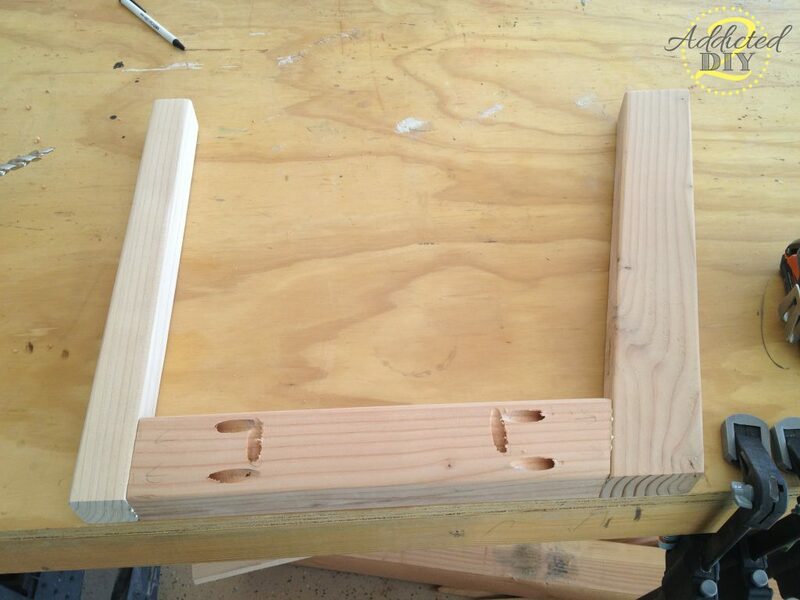 So the 2×3 frame of the chair base has vertical pocket holes drilled into them which then attach to the chair base with 2 1/2″ pocket screws. I hope that helps! Can you tell me which items from Ana’s shopping list you replaced with the 2×3’s? I replaced the rear chair legs with 2x3s. I kept the front legs as 2x2s. Lovely job with the chairs! For someone that doesn’t like to sew you’ve done a great job of getting the seams straight and tidy. This is definitely something I wish I had know/thought of before doing this! You are absolutely right. Having this between the foam and fabric would have been genius! Thank you for that tip! Do you have your exact cut list I could follow? Thanks! I don’t. Just what is in the tutorial and following Ana White’s original plans. Can I find all your mesurments somewhere? I’m making some blieprints that is like to try when summer comes and would love your measurements! 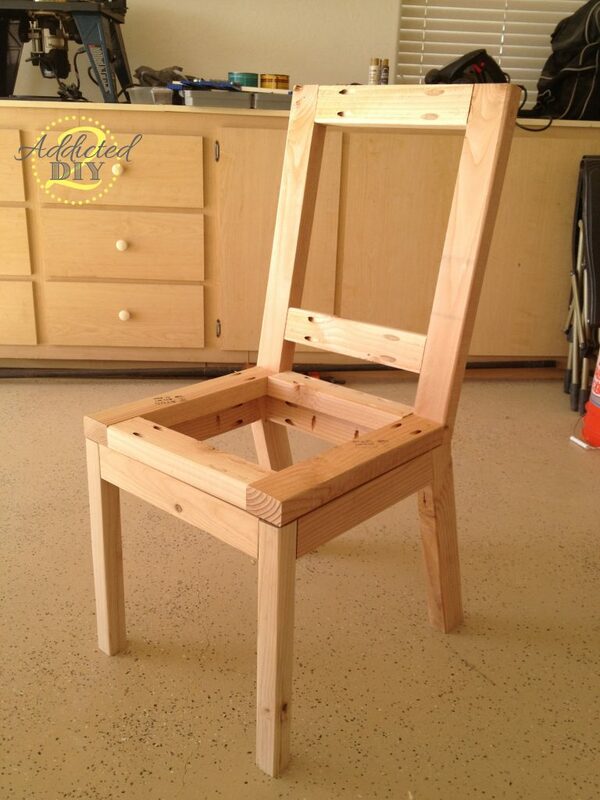 You can find the link to the chair plans in my post. Thanks for stopping by! I tried clicking on the links to get to ANA’s version of these chairs.